Can you beat our very own footy tragic and North Melbourne fanatic Jermaine in your weekly tips? If so, he’ll shout you a pint of Hawthorn! 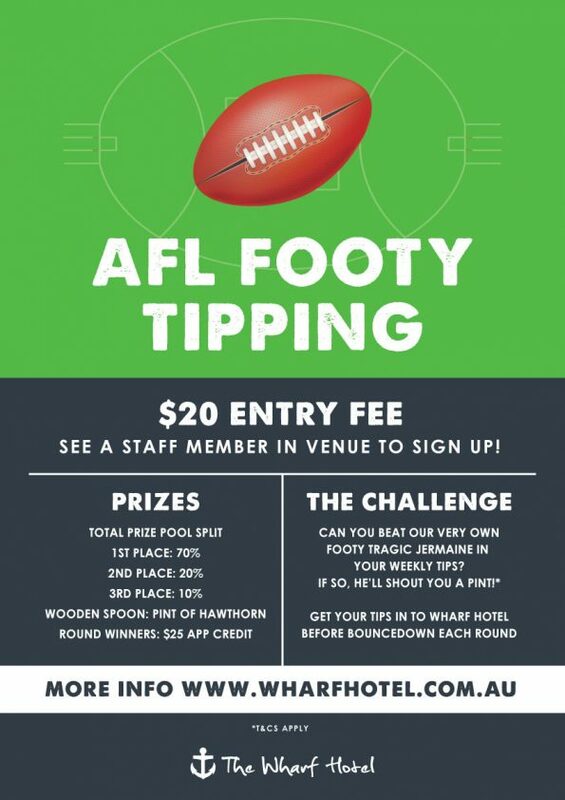 Tips must be submitted by the first bounce of each round by completing the official tipping form and handing it to a staff member in venue. If you forget, or miss putting your tips in, you’ll be awarded the away games. Challenge prizes – Jermaine’s tips will be published online by 5pm each Thursday. You must select a greater numbing of winning games than Jermaine in order to claim a free pint of Hawthorn. Sign up now – see you at the bar!